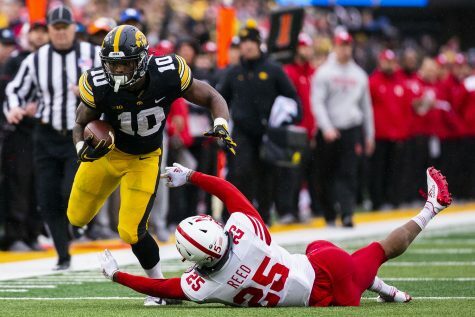 Kirk Ferentz met with the media on Wednesday to discuss Iowa’s 2019 recruiting class. 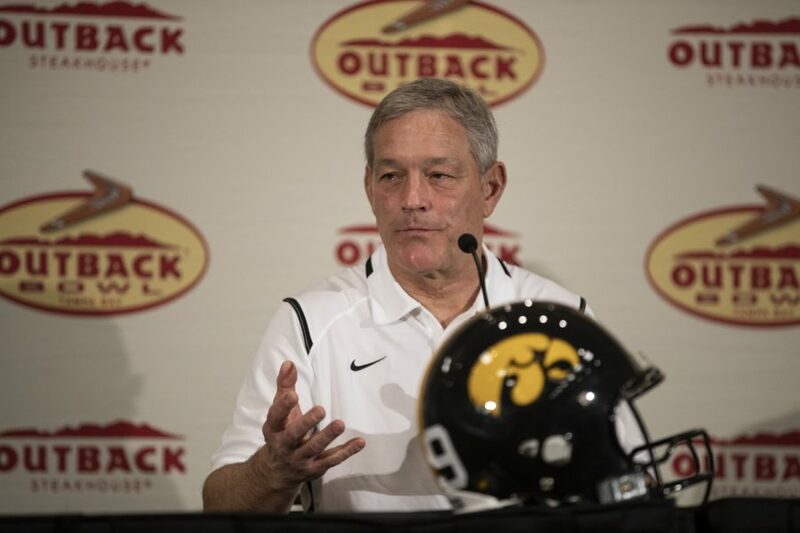 Iowa head coach Kirk Ferentz answers a question during a press conference in Tampa, Florida on Saturday, December 29, 2018. 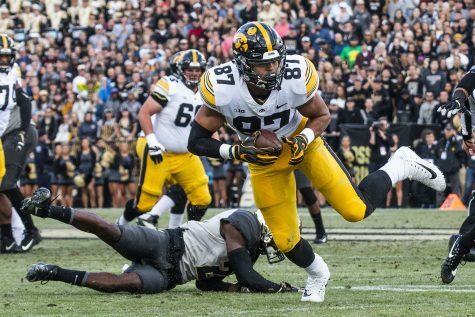 With football about seven months away, Iowa head coach Kirk Ferentz took to the podium Wednesday to talk about the Hawkeyes’ 2019 recruiting class. 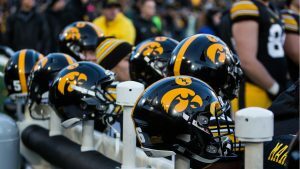 Three future Hawkeyes signed on Wednesday to become a part of the 23-man recruiting class that also has 11 walk-ons: defensive back Jermari Harris, defensive lineman Taajhir McCall, and punter Michael Sleep-Dalton. 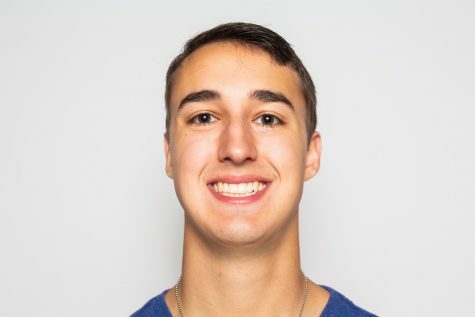 Sleep-Dalton, a graduate transfer from Arizona State, will join a three-man competition for the starting punter job with Colten Rastetter and Ryan Gersonde. 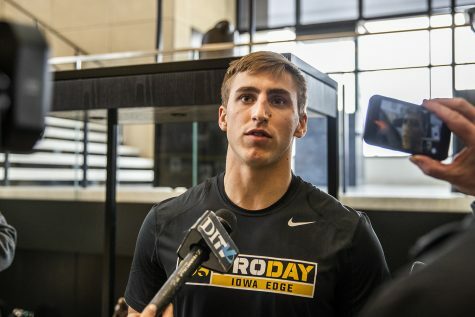 A native of Geelong, Australia, Sleep-Dalton finished the 2018 season averaging 43.8 yards a punt with a long of 72, besting Rastetter’s 38.9-yard average and 69 long, as well as Gersonde’s 42.5 and 61 marks on 13 punts. 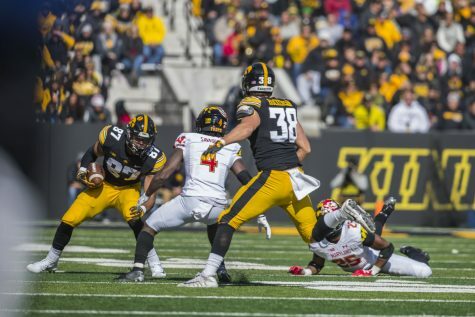 Ferentz said it’s becoming increasingly difficult to find punters, so the acquisition of Sleep-Dalton should help Iowa next season. 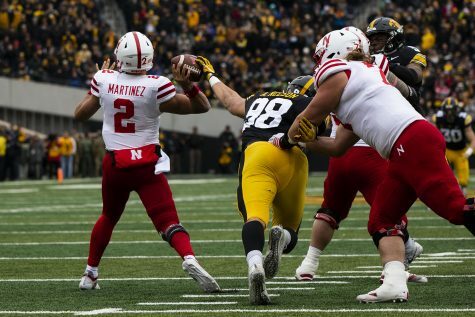 If Sleep-Dalton wins the starting job, he will have to do much more than punt the ball far, and Ferentz is keeping an eye on that. 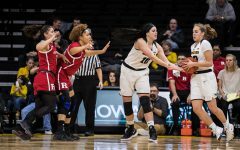 In addition to Sleep-Dalton’s signing, Harris and McCall have the potential to play roles in which the Hawkeyes could use some help. 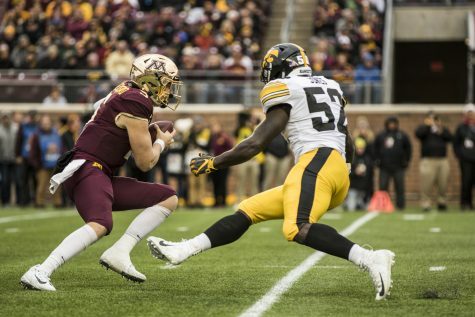 While Iowa doesn’t have an excessive need at cornerback because of the play of Michael Ojemudia and Matt Hankins, along with backups Riley Moss and Julius Brents, the defensive line is a different story. 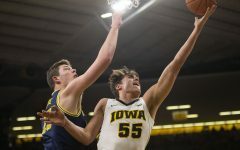 All four starters — Parker Hesse, Anthony Nelson, Matt Nelson, and Sam Brincks — have departed, leaving some holes. 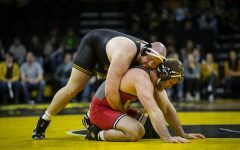 Whether the two have an immediate effect or not, Iowa got the players it wanted late in the recruiting process. 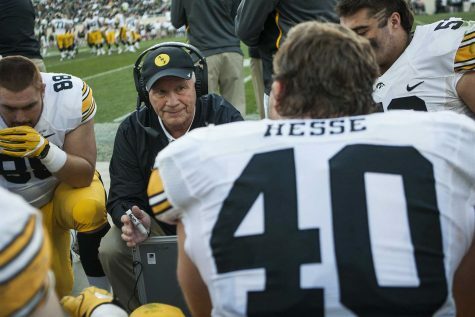 While the day focused on the new Hawkeyes, Ferentz noted some former Iowa players. He made a trip to the Super Bowl, where he met up with Adrian Clayborn and James Ferentz of the New England Patriots, whom Ferentz coached. 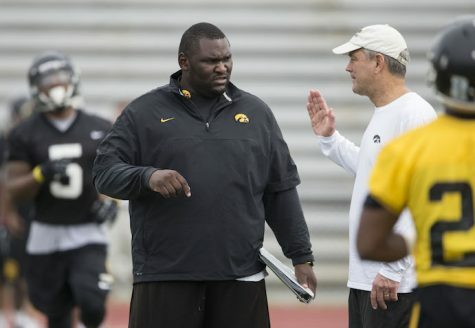 In Iowa City, James Daniels and Josh Jackson have returned to the facility. 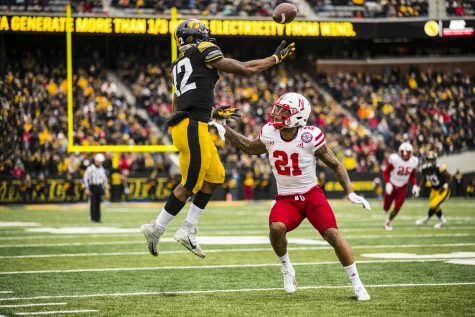 Ferentz said Daniels is back taking classes and working toward his degree, and he believes Jackson is taking online classes. He also said he expects to see Marshal Yanda’s blue truck outside the facility soon. Daniels played in all 16 games and made 10 starts, helping the Chicago Bears to a 12-4 record and an NFC North title, and Jackson racked up 49 tackles and broke up 10 passes for the Green Bay Packers.